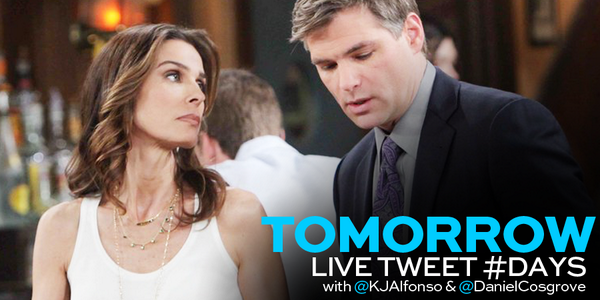 Days of our Lives actors Kristian Alfonso (Hope Brady) and Daniel Cosgrove (Aiden Jennings) will be live tweeting Thursday, September 4th at 1 pm est. Kristian's twitter is @kjalfonso. Daniel's twitter handle is @danielcosgrove.